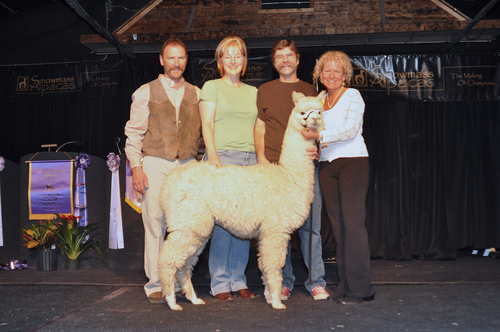 Snowmass Elite Legend is everything one could hope for in an elite huacaya Herdsire! 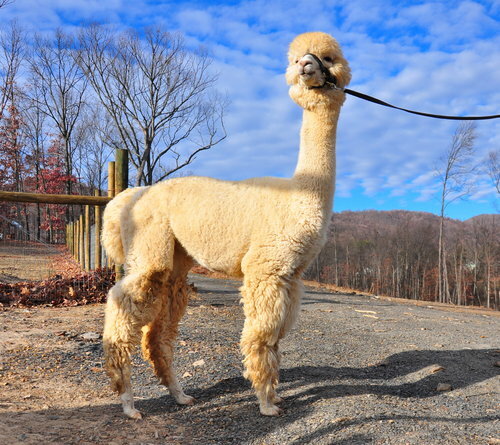 A son of the legendary Snowmass Quechua, EL combines those qualities so often found in several alpacas all into one superb package: density, fineness, and uniformity the likes of which are rarely seen together, combined with a high propensity to pass those traits on to his progeny. 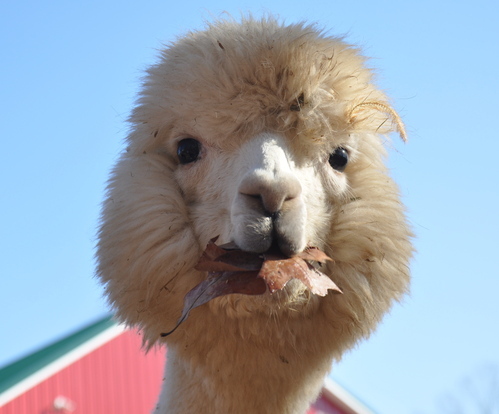 He breeds as "true" as any Herdsire that we have seen here in 16 years of breeding alpacas and the results are really impossible to dispute. It is no coincidence that his offspring won both the male and female white championships at the 2011 Futurity, nor that one of his sons, CCNF Elixir, was both the Light Champion and as well as the Judges' Choice Huacaya Male at the 2012 Futurity. In fact 2012 marked the third year in a row that Elite Legend was awarded Futurity Light Herdsire of the Year, putting him in some very exclusive company! Elite Legend's offspring at CCNF have been nothing short of phenomenal and we anticipate his sons Elixir, CCNF Defiance, and CCNF Hyperion taking their places in our Herdsire stable in 2013. After holding a partial interest in this spectacular male for a few years, as of January 2013 full ownership of Elite Legend has reverted back to his birth farm. 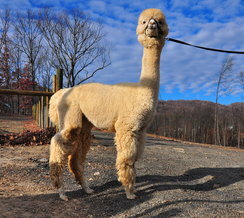 We are keeping this listing up as a reference. Introducing Sadee! This lovely daughter of the great Snowmass Elite Legend is timid as a mouse, but oh so sweet! Her fiber is bright white, bundled and crimped with a beautiful hand.